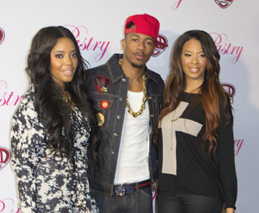 The annual winter holiday party called “Skate & Donate” hosted by Nick Cannon and Angela and Vanessa Simmons rolled in on the evening of Saturday, December 8. 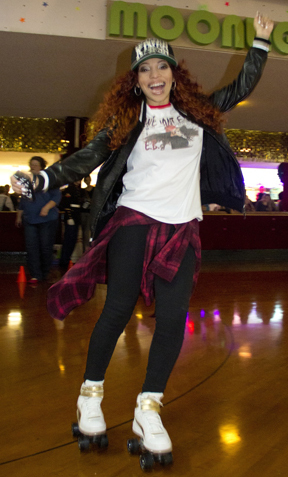 It was held at the Moonlight Rollerway in Glendale and was sponsored by Pastry Shoes and N’Credible. Celebrities and their guests brought gifts to donate to Toys For Tots as they filled up the large box with treasures another less fortunate will get to enjoy. 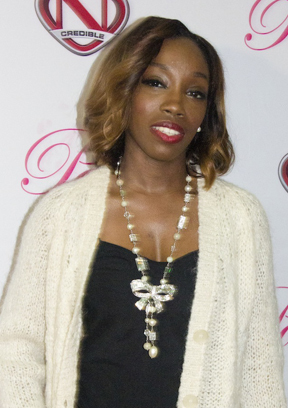 A variety of celebs attended the event like actors Carlos Knight, China Anne McClain, Kevin Frazier, Laura Govan, Naturi Naughton, Raven Goodwin, and artists E.B. Wright, Estelle and Rachel Crow. 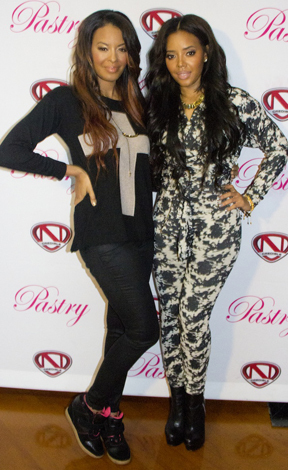 The Pastry Ambassadors, Angela Simmons, Vanessa Simmons, Mz Bratt, Alli Simpson and Jessica Jarrell were all in attendance as some sported their Pastry shoes. “We think it’s very important to give back. We did it last year for the first time and it got a really good turn out so we decided why not do it again,” Angela said. “Toys for Tots is a really good organization and definitely one to contribute to during this time of the holiday season and just spreading Christmas joy so everyone can be happy,” Vanessa added. The Pastry founders, who say they started the business to give women more of a variety of tennis shoes to choose from, continue to work on new designs and ideas and advise to look out for their new shoes. Meanwhile, Cannon, founder of event co sponsor N’Credible, says giving back is what drives Skate & Donate every year. “It’s all about the young people so we give the toys to the less fortunate,” Cannon explained. 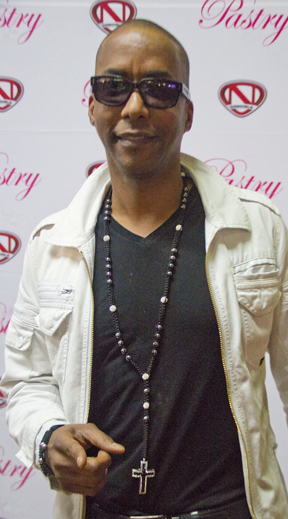 Actor/producer Miguel Nunez, executive producer for Cannon’s upcoming film, “School Dance” also showed up. “Nick always likes to give back, so I support him in everything he does,” Nunez said. 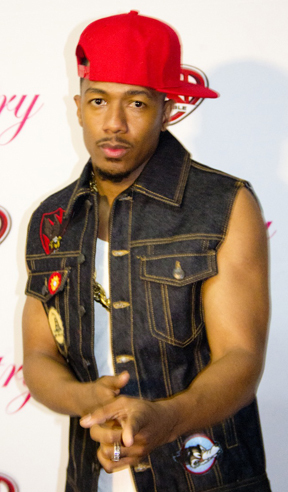 Cannon wrote and directed the movie, set for a 2013 release. 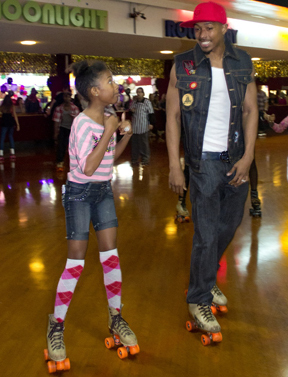 Everyone spent the rest of their night jamming out to music provided by NCredible’s DJ Cam as they put on their skates and hit the roller rink. There were also those who chose to stay on the sideline and enjoy some chips and salsa provided by Chipotle than brave the roller skating rink runway. 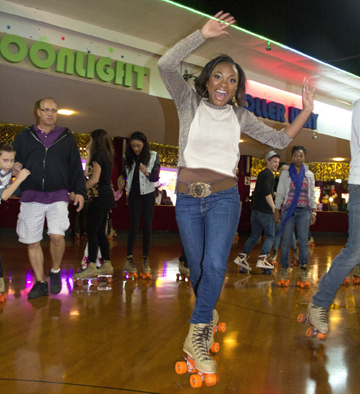 Either way, laughs were going around the roller rink as people held each other’s hands for not only support across the rink, but support for a good cause.